Don Blankenship,who spent a year in jail because 29 miners died in his Upper Big Branch mine? What good is he doing? Well, Blankenship has announced that he’s running as a third-party candidate against against Senator Joe Manchin (D) in West Virginia’s Senate election this November. Analysts fear this will split the Republican vote in a state that voted overwhelmingly for Trump and Manchin was one of the most threatened Democratic Democrats. If Manchin holds on to his seat, Democrats may be one step closer to taking control of the US Senate. Violations kept piling up. In late 2000, a Massey coal slurry reservoir collapsed, leaving a 70-mile path of destruction in what was then the worst U.S. environmental disaster. By the time of the Upper Big Branch accident in 2010, MSHA had cited the mine for 1,342 safety violations since 2005, with a total of $1.89 million in fines proposed, according to federal records. In the month before the explosion, the mine had received 50 citations for poor ventilation of dust and methane, failure to maintain proper escape ways, and the accumulation of combustible materials. Upper Big Branch wasn’t the only Massey mine with safety problems. 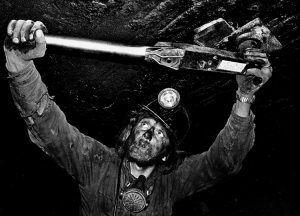 Altogether, 54 workers died in Massey mine accidents during Blankenship’s tenure. He intends to run as the nominee of the Constitution Party, which was founded as the U.S. Taxpayers Party by anti-tax crusader Howard Phillips and which calls itself the philosophical home of the tea party. The party would “restore American government behavior to its Biblical foundations,” according to an announcement on Facebook. Now I’m no Biblical scholar, so maybe someone can point out to me where the bible sanctions killing coal miners by cutting corners on safety. If there is a God, “almost heaven” is about as close as Don Blankenship will ever get. Your last Statement about “Almost Heaven” reminded me a a great book, “Storming Heaven” by Denise Giardina about the struggles of the Appalachian Coal Miners of of the early 1900’s. Blankenship is proof all you have to do is own a coal mine or a big business to get away with being a serial killer.